The MARS Summer Program kicks off Tuesday June 17 at 6 pm. Join us at Conroy Track for a workout that runners of all abilities can do. We will do an easy 5K warm up then some running drills. These will be followed by a track workout so no one will get left behind. We call the workout “Dealer’s Choice” and the only way to find out what it is all about is to join us! Members are welcome. We will be joined by some TriMuskoka athletes and there will be a 30 min core/strength workout led by TriMuskoka after the workout (roughly 7:30 pm). The MARS Executive will be meeting June 16. Meeting Minutes will be made available at our website. 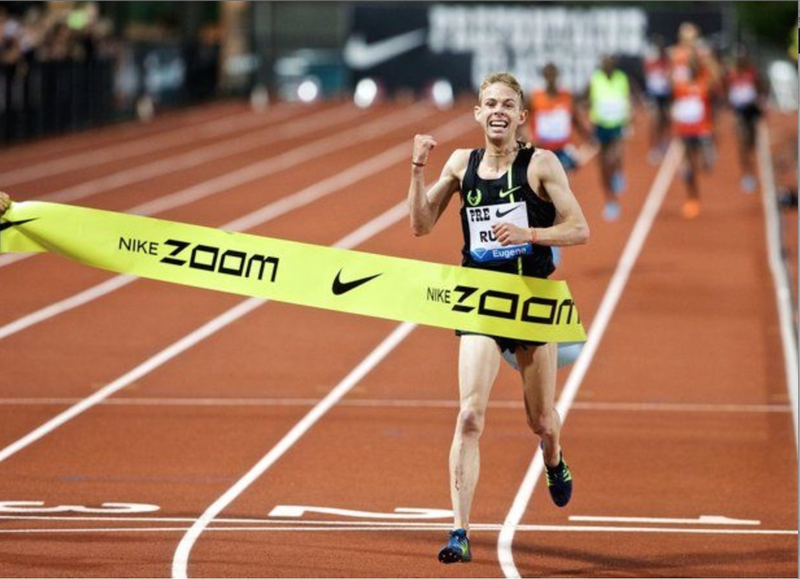 Congratulations to Galen Rupp. Rupp smashed his 2011 American record in the 10,000 meters on the first night of the Prefontaine Classic last Friday evening at Hayward Field, running 26 minutes, 44.36 seconds in front of a raucous crowd at his home track. The time also is the fastest in the world this year. This entry was posted in Club Details, Masters Running, Scheduled Runs, Uncategorized. Bookmark the permalink.